Mr Johnson composed a long letter clarifying why he believed he needed to go. We've distributed it in full underneath. It is more than two years since the British people voted to leave the European Union on an unambiguous and categorical promise that if they did so they would be taking back control of their democracy. They were told that they would be able to manage their own immigration policy, repatriate the sums of UK cash currently spent by the EU, and, above all, that they would be able to pass laws independently and in the interests of the people of this country. Brexit should be about opportunity and hope. It should be a chance to do things differently, to be more nimble and dynamic, and to maximise the particular advantages of the UK as an open, outward-looking global economy. That dream is dying, suffocated by needless self-doubt. We have postponed crucial decisions — including the preparations for no deal, as I argued in my letter to you of last November — with the result that we appear to be heading for a semi-Brexit, with large parts of the economy still locked in the EU system, but with no UK control over that system. It now seems that the opening bid of our negotiations involves accepting that we are not actually going to be able to make our own laws. 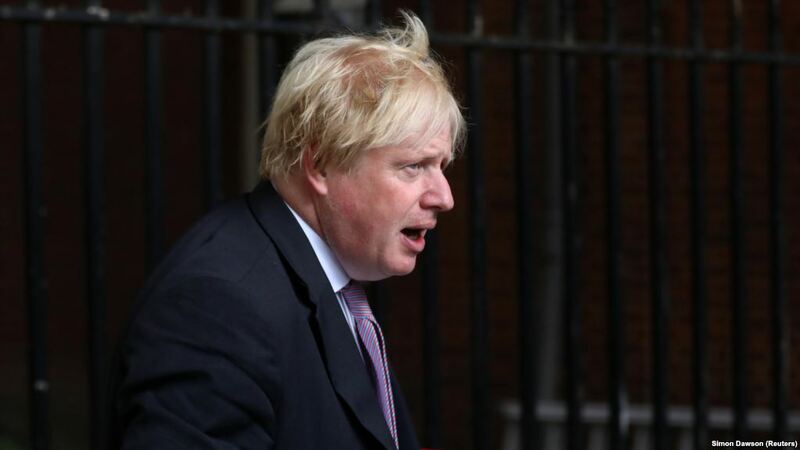 Indeed we seem to have gone backwards since the last Chequers meeting in February, when I described my frustrations, as Mayor of London, in trying to protect cyclists from juggernauts. We had wanted to lower the cabin windows to improve visibility; and even though such designs were already on the market, and even though there had been a horrific spate of deaths, mainly female cyclists, we were told that we had to wait for the EU to legislate on the matter. So, at the previous Chequers session we thrashed out an elaborate procedure for divergence from EU rules. But even now that seems to have been taken off the table and there is in fact no easy UK right of initiative. Yet if Brexit is to mean anything, it must surely give ministers and Parliament the chance to do things differently to protect the public. If a country cannot pass a law to save the lives of female cyclists — when that proposal is supported at every level of UK government — then I don't see how that country can truly be called independent. Conversely, the British Government has spent decades arguing against this or that EU directive, on the grounds that it was too burdensome or ill-thought out. We are now in the ludicrous position of asserting that we must accept huge amounts of precisely such EU law, without changing it an iota, because it is essential for our economic health — and when we no longer have any ability to influence these laws as they are made. In that respect we are truly headed for the status of colony — and many will struggle to see the economic or political advantages of that particular arrangement. It is also clear that by surrendering control over our rulebook for goods and agrifoods (and much else besides) we will make it much more difficult to do free trade deals. And then there is the further impediment of having to argue for an impractical and undeliverable customs arrangement unlike any other in existence. What is even more disturbing is that this is our opening bid. This is already how we see the end state for the UK — before the other side has made its counter-offer. It is as though we are sending our vanguard into battle with the white flags fluttering above them. Indeed, I was concerned, looking at Friday's document, that there might be further concessions on immigration, or that we might end up effectively paying for access to the single market. On Friday I acknowledged that my side of the argument were too few to prevail, and congratulated you on at least reaching a Cabinet decision on the way forward. As I said then, the Government now has a song to sing. The trouble is that I have practised the words over the weekend and find that they stick in the throat. We must have collective responsibility. Since I cannot in all conscience champion these proposals, I have sadly concluded that I must go. I am proud to have served as Foreign Secretary in your Government. As I step down, I would like first to thank the patient officers of the Metropolitan Police who have looked after me and my family, at times in demanding circumstances. I am proud too of the extraordinary men and women of our diplomatic service. Over the last few months they have shown how many friends this country has around the world, as 28 governments expelled Russian spies in an unprecedented protest at the attempted assassination of the Skripals. They have organised a highly successful Commonwealth summit and secured record international support for this Government's campaign for 12 years of quality education for every girl, and much more besides. As I leave office, the FCO [Foreign and Commonwealth Office] now has the largest and by far the most effective diplomatic network of any country in Europe — a continent which we will never leave.